Reusable water bottles have become increasingly important when it comes to limiting environmental waste. It could take more than 17 million barrels of oil to create more than 50 billion disposable plastic water bottles, and only one out of five of these bottles is ever recycled properly. Using reusable bottles saves money, as water in disposable bottles can cost up to 2,000 times more than tap water does. 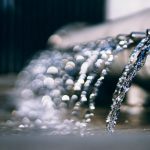 You are also more likely to know what is in your own tap water, which you can filter yourself before pouring into a reusable bottle, than what is in your disposable water bottle. Plastic bottles are also likely to leach foul tastes or harmful chemicals into the water they contain, particularly if left in high temperatures for long time periods. Reusable bottles are more likely to use BPA-free plastic, stainless steel, or glass, all of which do not have chemicals and will not affect the taste or smell of your drinking water. Having your own bottle ensures that you have your drink how you want it and when you want it. Insulated water bottles, in particular, can be used for beverages other than water and can keep drinks hot or cold. Reusable bottles are easy to clean with the appropriate brush or in a dishwasher. 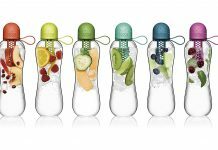 The lifetime of a reusable bottle can be at least 10 to 20 years, and these bottles are durable enough for various activities. The stainless-steel versions are not likely to bend or break, can take hits, and survive falls with a scratch or a dent, at most. Reusable water bottles are ultimately more convenient than disposable bottles are. In this review, we look at the Sigg water bottle and how it compares with a few other water bottle brands. Keep reading to learn more about Sigg and its different varieties of bottles. What Is a Sigg Water Bottle? A Sigg water bottle is considered one of the best water bottles available. These Swiss water bottles have been designed and manufactured since 1908. They are environmentally friendly, made from 100 percent recyclable materials, and have a lifespan of 10 to 20 years. The classic, durable water bottles are considered almost unbreakable and are made from a single piece of aluminum, with no seams. They have an EcoCare liner to ensure no metallic aftertaste. 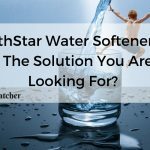 Water tastes fresh and clean, and the high-performance lining does not transfer, absorb, or leach odors or flavors. The internal coating is resistant to almost all beverages, including carbonated drinks, energy drinks, fruit juice acids, and alcohol. Sigg water bottles have been tested and are certified to not contain harmful chemicals. These BPA-free bottles do not have any volatile organic compounds or phthalates. They also meet European and American regulatory requirements. They come in three styles: classic traveler, sports, and hot and cold. The classic traveler bottle is for people on the go, whether they are urban or nature travelers. They can hold water from a waterfall or a hotel tap and are handy enough for a short weekend trip. This bottle, like all of Sigg’s water bottles, can also be branded with a company or organizational logo for visibility and practicality. The sports bottle is a classic traveler bottle with a screw-top, wide-mouth lid that comes in various colors. It’s a lightweight and durable bottle that fits most bicycle cages and cup holders. The opening is wide enough to accommodate ice cubes that keep drinks cool. The aluminum bottle has a non-slip grip and an ergonomic shape. The hot-and-cold bottle can keep water cold during a hot day at the beach or hold a hot beverage during a winter mountain climbing adventure. It’s an all-weather, all-season bottle that holds any type of drink, such as coffee, cider, hot chocolate, chai tea, and mulled wine. The bottles keep beverages hot for more than 18 hours and cold for more than 24 hours. This bottle is made from stainless steel to keep tastes and odors neutral and has a removable filter to hold loose-leaf tea or fruit so you can infuse your drinks. In Europe, Sigg’s products have a limited warranty of two years. In the United States, users must contact the company’s customer service to inquire about warranty coverage. The classic traveler bottles range in price from $20 to $35. Bottles with customizations and designs will cost a few dollars more. 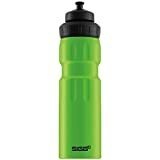 The sports versions of the water bottle range in cost from $25 to $40. Sigg’s hot-and-cold thermos bottles cost between $35 and $60, depending on the size of the bottle. With many choices available, it is a challenge to narrow down your options. You can choose your bottle based on the activity you plan to use your bottle with. You can also factor in convenience, portability, and comfort. First, choose the size or storage capacity of the bottle, which is measured in fluid ounces or liters. Some studies suggest that men should drink three liters of water per day while women need 2.2 liters. 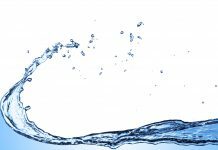 People who participate in strenuous activities, such as running, should drink four to six ounces of water every 20 minutes. Runners should also consider the bottle shape and lean toward slender, narrow bottles that can fit in the hand. For hiking, the bottle should be larger to hold more liquid, but if you intend to have a bottle on the side sleeve of a backpack, then a slender bottle is a better choice. You may also consider whether the bottle needs to fit in a purse or a bag, and whether you’re willing to frequently refill a small bottle or would prefer a larger, heavier bottle that requires less refilling. Most water bottles are made from either plastic, stainless steel, or glass. Plastic bottles are lightweight and durable, which means they can take abuse. Look for plastic bottles that are BPA free. BPA, or bisphenol A, is a chemical known to leach into water, possibly causing diabetes and cancer. If you are looking for an insulated bottle, then stainless steel is the best choice. However, stainless-steel bottles and thermoses are more likely to dent and are heavier than plastic bottles are. Plastic bottles tend to have single-wall construction while the more expensive stainless-steel bottles are double walled, although single-walled versions are available. With insulated bottles, which are vacuum sealed, you will want one that meets your hot and cold beverage requirements. Glass bottles are reminiscent of water glasses and provide users with clean-tasting water. 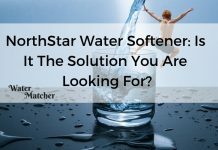 You won't have to worry about chemical plasticizers leaching into the water. If you opt for a glass bottle, then find one that is shatter resistant, which is worth the higher cost. Water bottles have screw tops, lids, or nozzles. If you are running or biking, then a nozzle is the best way to go. You won't need to stop to remove a lid or worry about fluids spilling out of a wide-mouthed bottle. There are some other qualities to look for. If you are tracking your water intake, then find bottles with metrics or measurements on the side so you can see how much you have consumed. Daily water bottle users should find bottles that are easy to clean and even dishwasher safe. The bottles need to motivate you to use them, whether it’s to keep your coffee or tea hot or to keep your water ice cold. While not the most important feature, the bottle’s attractiveness will compel you to reach for it, whether you opt for a simple, clean-looking bottle, a more graphically interesting bottle, a clear bottle that shows how much water is inside, or a sleek, stainless-steel container. Based in Chico, California, Klean Kanteen is a top brand of insulated bottles, growlers, and other related products. The company introduced its stainless-steel, reusable, BPA-free water bottles in 2004 as alternatives to single-use plastic water bottles. 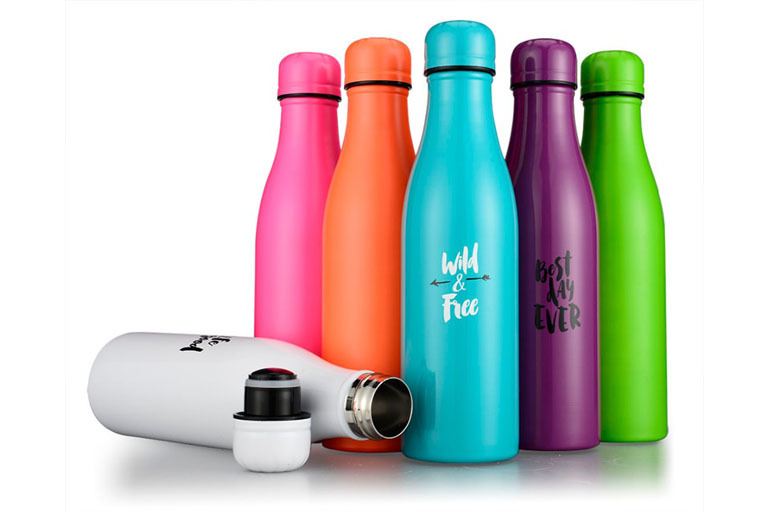 The brand’s vacuum-insulated bottles are high performing and made of safe materials. The 64-ounce version keeps cold drinks cold for up to 100 hours while the 20-ounce version keeps hot beverages hot for up to 14 hours. The bottles hold water, beer, coffee, whiskey, smoothies, kombucha, and other drinks, whether they are cold, hot, or carbonated. The insulated bottle fits into cup holders and is both wide and leakproof. Klean Kanteen also sells an uninsulated water bottle that makes filling and pouring easy and has an opening that fits ice. Because the bottles are made from stainless steel, no lining is necessary. Hydro Flask is an American company from Bend, Oregon, that makes double-walled, vacuum-insulated, stainless-steel water bottles that keep hot drinks hot for six hours and cold drinks cold for 24 hours. The bottle has a matte finish exterior to prevent sweating. There is no liner, and the bottle is BPA free. 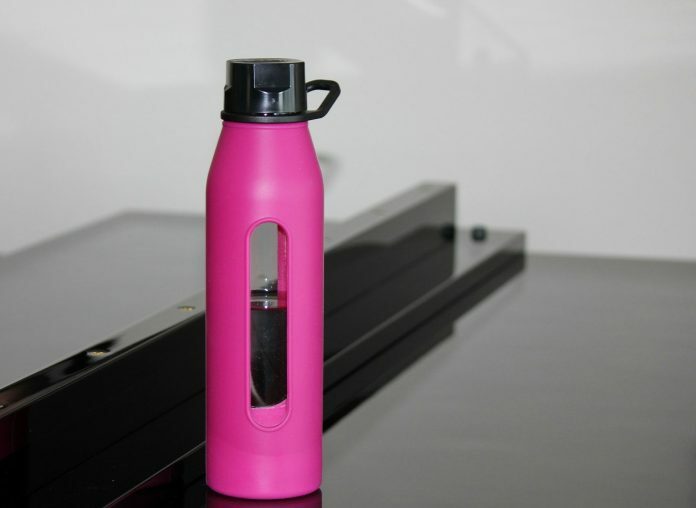 The bottle is lightweight and versatile enough for use in the office or during road trips, hikes, or days on the beach. It can be filled with ice but still won't drip or leave water puddles on tables or desks. Cheeki is an Australian brand that sells reusable products, including water bottles, that are made from premium-grade stainless steel. They have no inner lining and include non-toxic inks. The bottles are BPA free. The insulated bottles keep drinks cold for up to 35 hours and hot for up to 24 hours. There is an insulated silicone-shield lid to keep water from touching plastic. The non-insulated, single-walled bottles are lightweight. Both versions come in a variety of colors. Sigg has been making water bottles for more than a decade and is known for its quality reusable bottles. Among all of Sigg’s water bottle options, we recommend the insulated hot-and-cold version because of its stainless-steel construction. While the classic traveler and sports bottles are lightweight and generally serve their purpose as portable, BPA-free bottles, they suffer from problems. They are easy to dent and are not as durable because of their aluminum construction. The paint finish and the lining also come off after a short period of time. Sigg’s bottles are good, but the three competing brands listed above make products that are longer lasting, more durable, and liner free. The other brands also offer lifetime warranties that are much more generous than Sigg’s warranty policies. Sigg has been making water bottles for more than a decade and is known for its quality reusable bottles. Sigg’s bottles are good, but the three competing brands make products that are longer lasting, more durable, and liner free.